I know there is little hope that a 35,000-word story by “a self-published steampunk writer” could be made into a summer action movie. 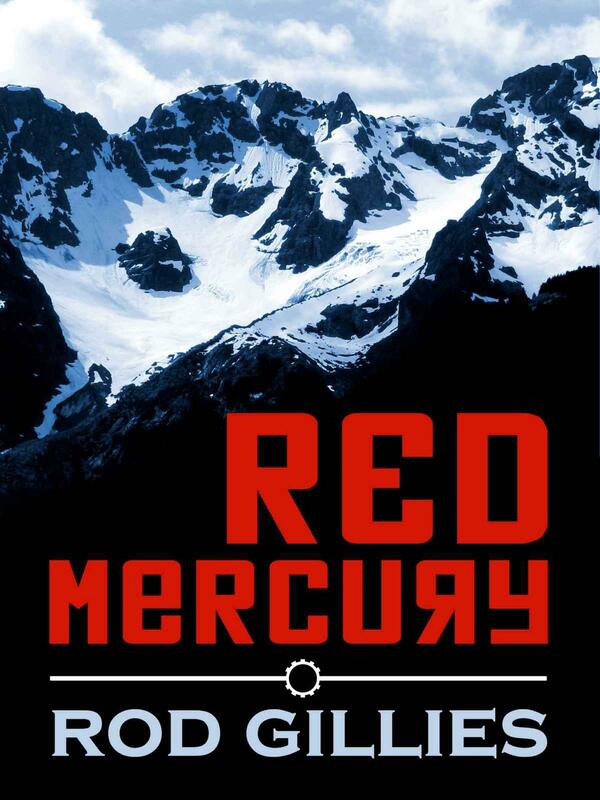 But Red Mercury should be! Early 20th century Europe seems inevitably headed for a big steampunk war. This is alternative history, so the coming conflict won’t be The Great War or WWII—Soviet Russia is already led by Lenin but Germany still has a Kaiser. And, somehow, Floridian mercenaries have managed to keep the Sunshine State independent from the US. The story opens with an airship flying over a devastated area in Siberia. “The village of Tunguska and its inhabitants were gone, vaporised in the first instant of the explosion.” So this seems to be the Tunguska Event of June 1908. However, we very soon learn that this has nothing to do with a meteorite impact. This is about the title substance and the Reds’ efforts to build the world’s first nuclear arsenal, years ahead of everybody else. But despite Russia’s best attempts to keep it secret, the men at Bletchley Park have intercepted and deciphered enough messages to know what’s going on. Technically, this is still peacetime, but what follows is not peaceful in any way. Three Britons and a Floridian are sent to the Soviet Union to retrieve the key scientists, a certain Eisenstein—not Einstein, mind you—and his daughter. They are parachuted into Siberia, more exactly the coastal city of Murmansk ten years after its foundation (that would mean 1926). By the way, I’m no expert in Russian geography but I thought that Murmansk was to the west of the Urals while Siberia extended eastward from the Urals. Perhaps I’m wrong or perhaps this is alternative geography. If 20th century Floridians can have their independence, I guess the Siberians can have Murmansk. The four men manage to get into trouble much sooner than expected, with the ruthless Cheka, no less. And from that moment on, it’s non-stop action. Gillies doesn’t indulge in a single superfluous description, unnecessary dialogues, or the like. It’s action scene after action scene until the very end. I said that this book would make a great action movie but this is not your typical Hollywood product. Not everything goes according to plan, and certainly not everything goes well. Both the protagonists and the Soviets have to improvise, but clearly Gillies doesn’t. Murmansk is about 50 miles from the border between Russia and Norway. Not in Siberia by more than a thousand miles. If the author gets that wrong, I’ve got my doubts about everything else in the book.